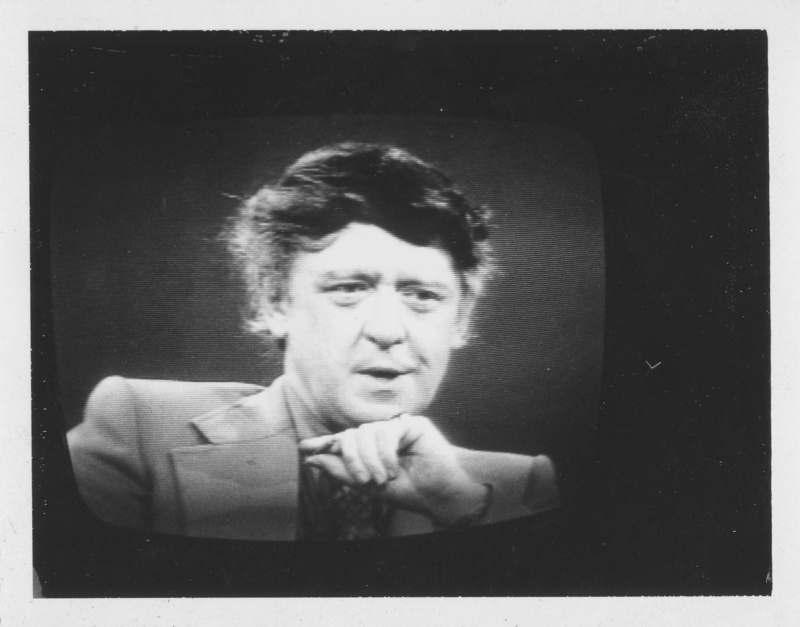 From 1963 to 1968 Anthony Burgess was an occasional television critic for the Listener. The majority of his published reviews were of documentaries, but towards the end of his tenure he also reviewed some television drama, including The Prisoner, the classic series which blends the tropes of James Bond secret agents with those of science fiction. 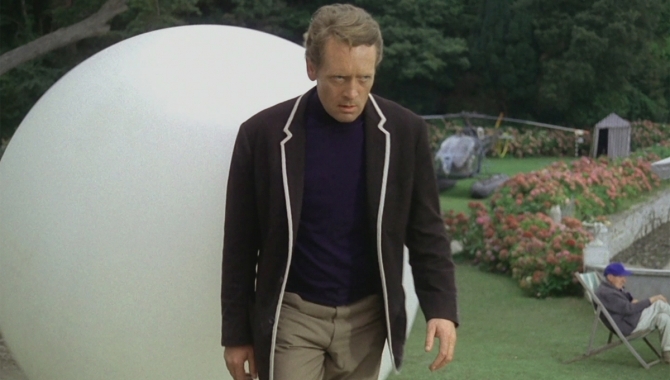 Patrick McGoohan plays Number 6, a retired spy who finds himself trapped in a mysterious prison village run by advanced machines for an unknown but sinister purpose. Burgess obviously enjoyed this concept, and he claimed in one of his articles that he was ‘thoroughly hooked’ on the series. 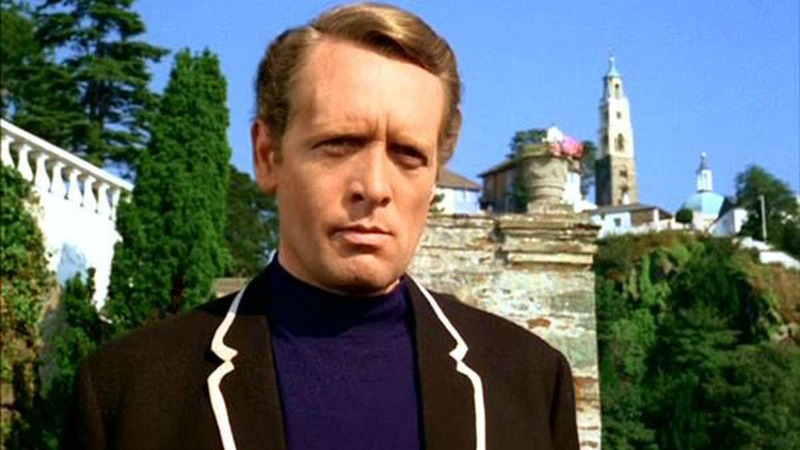 Despite his general enthusiasm for The Prisoner, Burgess felt betrayed by the final episode’s impressionistic style of storytelling. He described his feelings of disappointment: ‘A good deal of the delight I felt when The Prisoner started derived from my confidence that a meaning would eventually emerge, and this meaning would be a kind of image of a single controlling imagination […] We all had a right, those of us who had hardly missed an installment, to a final resolution which should satisfy on all levels. What we got was appalling.’ He was not alone in this opinion, and the series is widely regarded as a flawed masterpiece which began promisingly but ended badly. There is further evidence that Burgess took an interest in TV science fiction. The book collection at the Burgess Foundation contains two volumes relating to the original 1960s version of Star Trek. Burgess owned a copy of The Star Fleet Technical Manual (1975) and Star Trek Blueprints (1976), both of which were written by Franz Joseph. ‘Frame admired the three-layered hospital, the artificial heavens, the incredible foodfields, the ample bedroom area which, when the population started to grow, would still be ample. 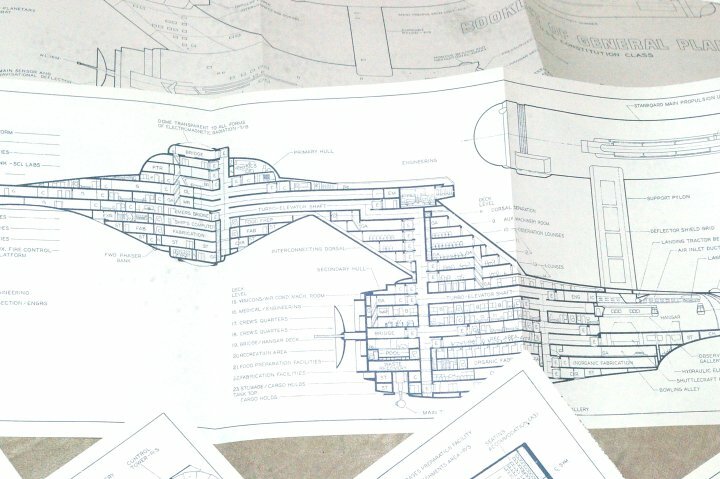 He admired the automated foremator, which would fabricate you a garment in one second after the pressing of a size-button.’ Some of these details, such as screens, communication devices and other technological essentials, might have been gleaned from the blueprints of the USS Enterprise in Burgess’s collection. It seems likely that Burgess’s engagement with television, and science fiction serials in particular, allowed him to experiment with both genre and form. Although he did not describe himself as a science-fiction author, the development of his writing owes something to speculative stories that he had seen on television. The ‘Future Fictions’ exhibition is on at the Burgess Foundation every weekday until January 2019 (10am to 3pm, except during holiday closure period).